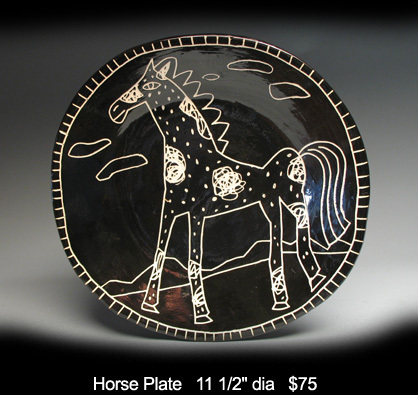 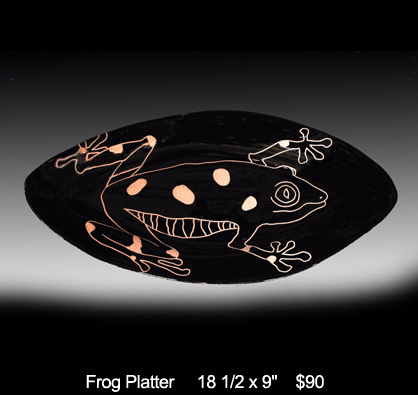 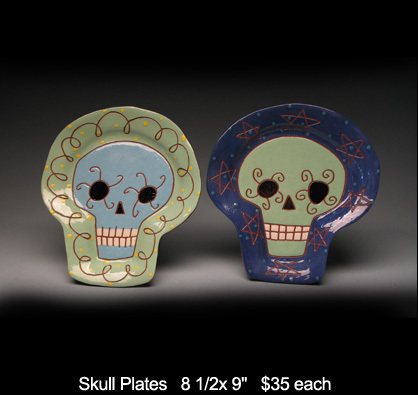 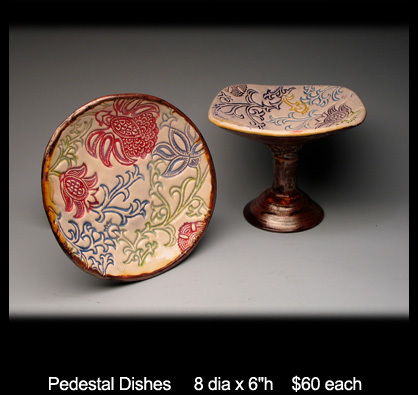 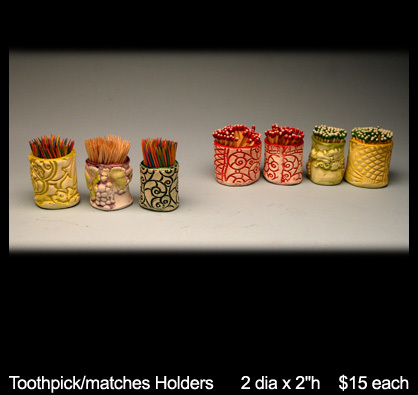 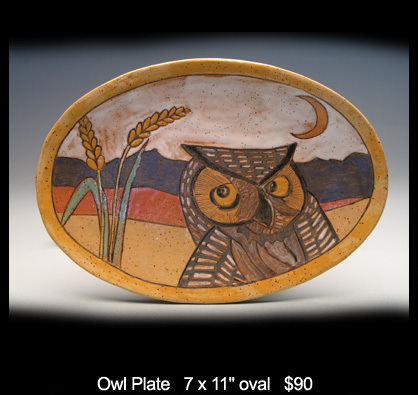 ANIMALIA - Karen Pritchett and Todd Shelby collaborate to make fun and functional earthenware pottery. 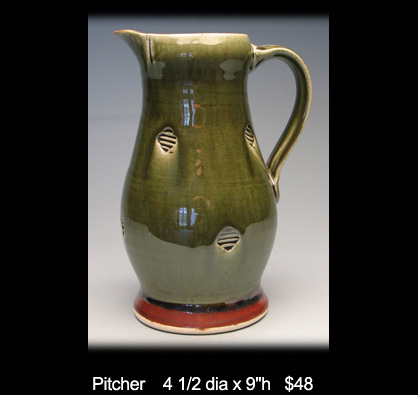 Karen does most of the throwing; both decorate, each in a distinctive style. 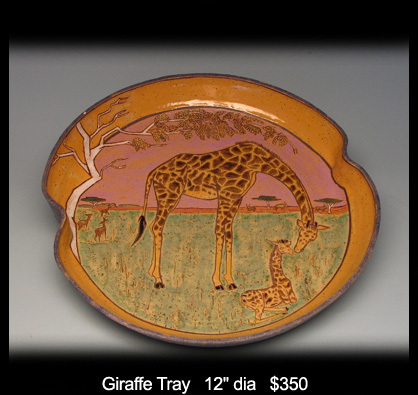 JANET BURNER started the Tucson Museumâ€™s clay program many years ago. 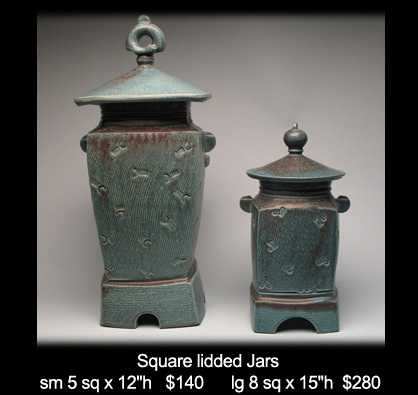 Her love of classic functional work is shown in each of her handcrafted pieces. 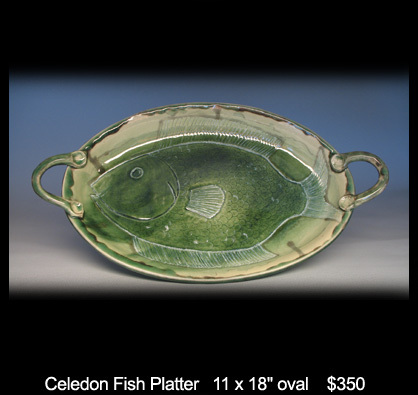 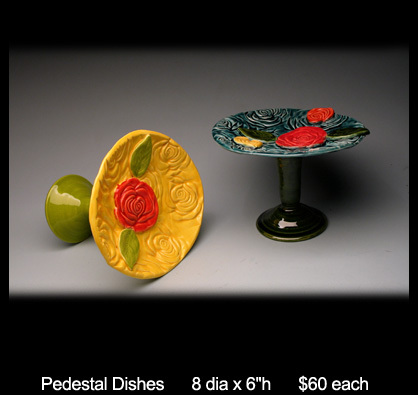 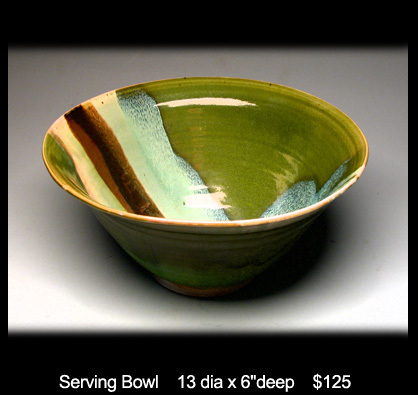 She specializes in dinnerware that has a lasting form and function. 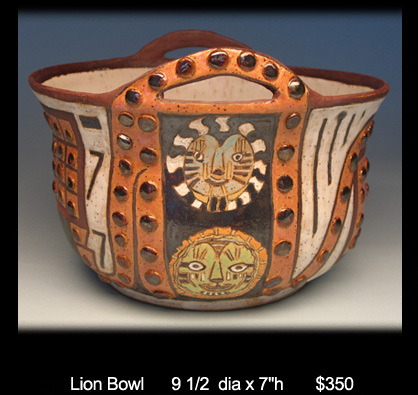 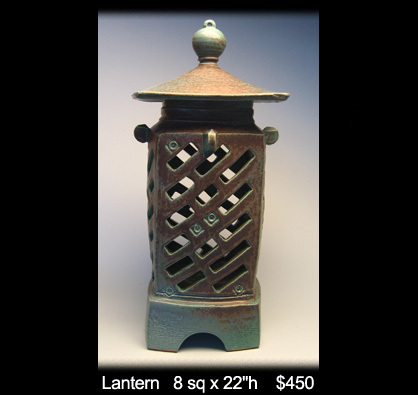 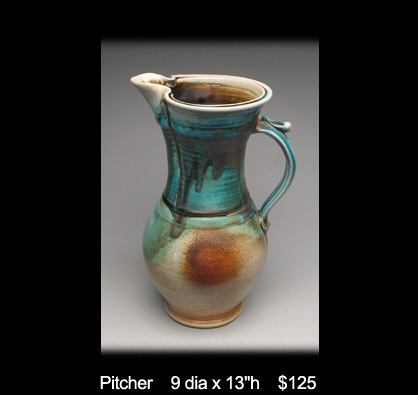 LARRY DAVIDSON - The gallery collection of Larry's wood fired pottery was produced from local materials - he mined for his clay body and glazes when he lived in New Mexico. 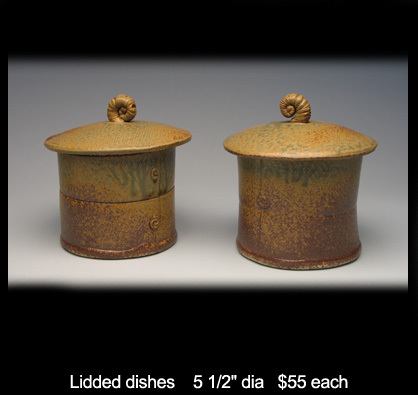 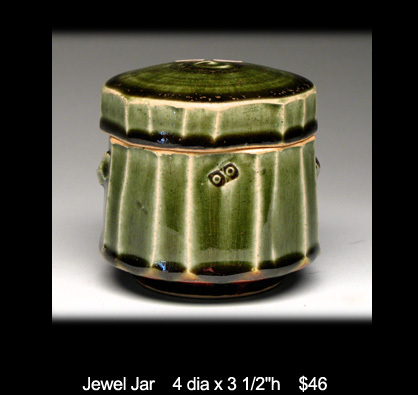 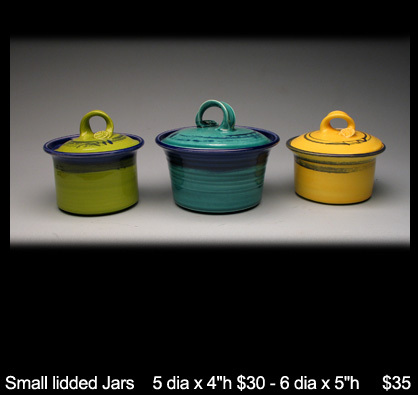 The gallery also has new functional gas reduction ware much of which has glazes formulated from local material. 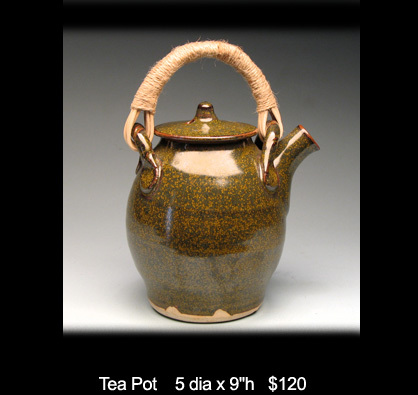 LESLEY LENT calls herself a "narrative potter." 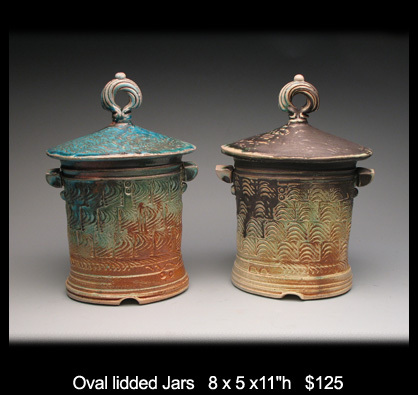 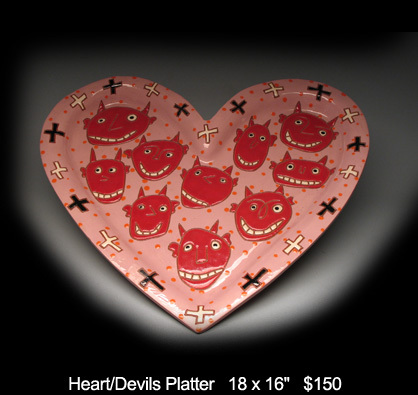 Each of her pieces is painstakingly glazed with motifs and stories from her experiences. 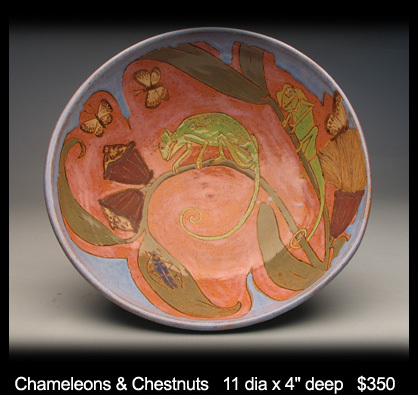 Much of her youth was spent in Africa and many of her pots have themes from there. 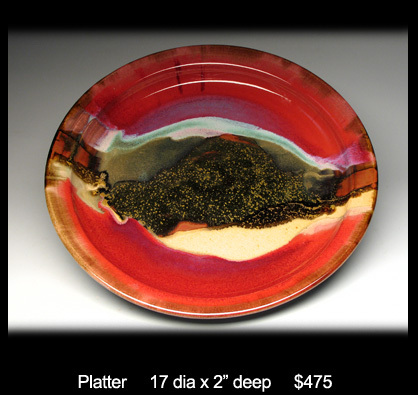 JOHN MCNULTY John McNulty is a long-time potter who produces bright, colorful, whimsical functional pieces. 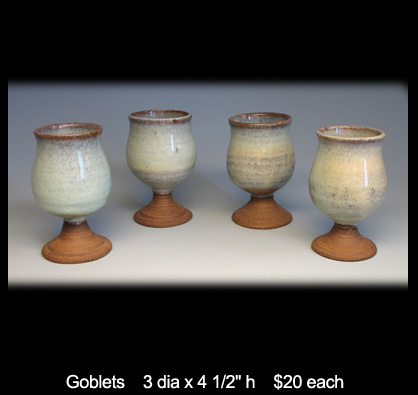 His work is wheel thrown or hand-built. 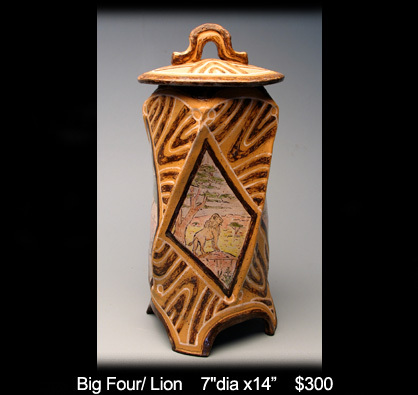 John has been the retail manager of the Tucson Art Museum Gallery/Gift Store for many years and is one of the members of the Bear Mountain Lodge LLC. 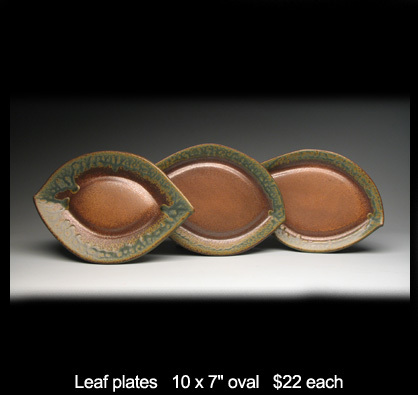 CYNTHIA SPENCER always knew she was an artist, and one can see this confidence in her functional dinnerware and in her graceful sculptures. 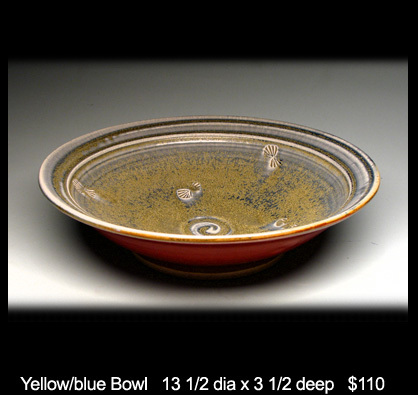 The production of functional ware provides a sketchbook for design and technique. 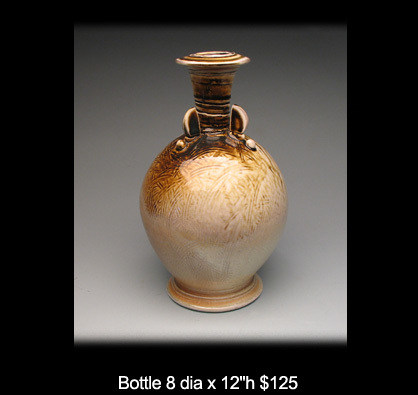 A whimsical vase foot will grow into a sculpture many months later. 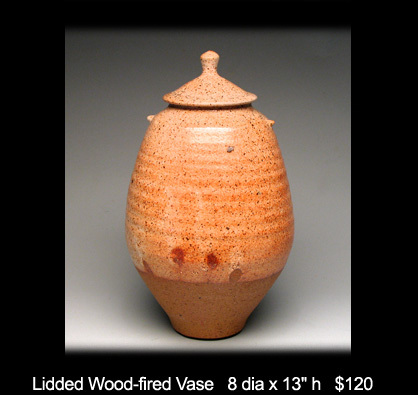 Her sculptures are reflections of herself as a woman and as a potter, a dance of line, form and technique. 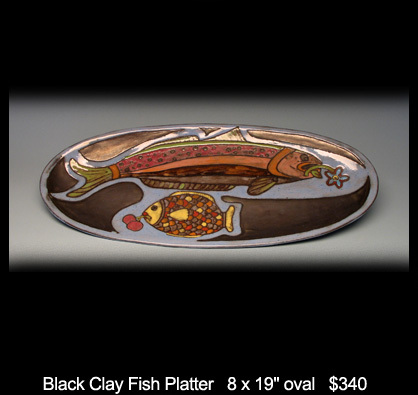 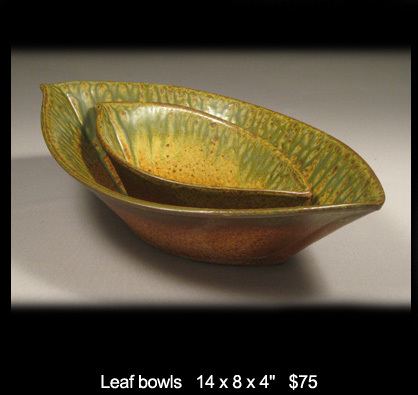 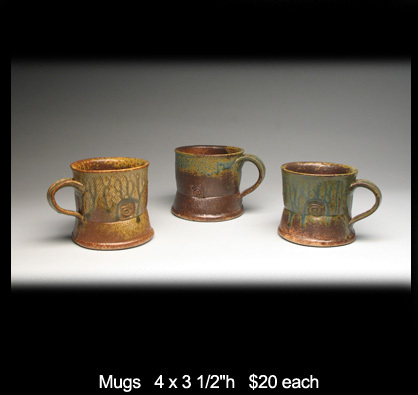 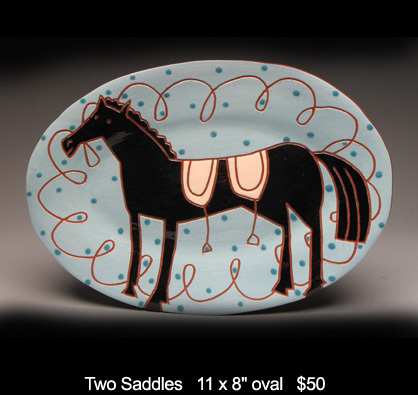 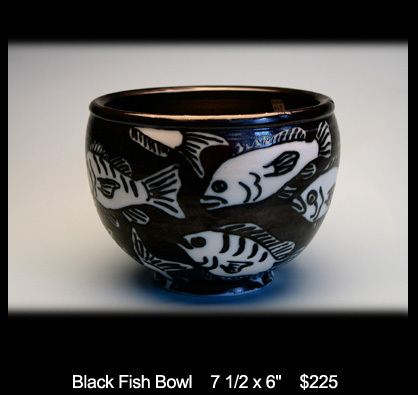 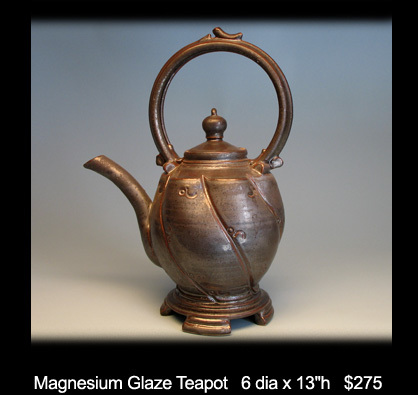 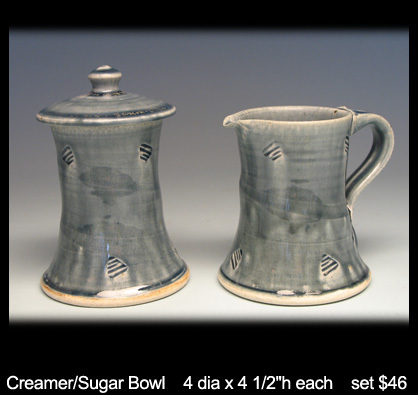 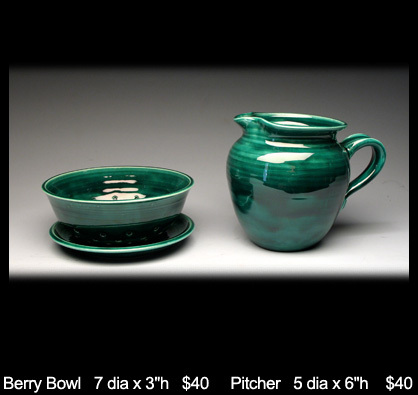 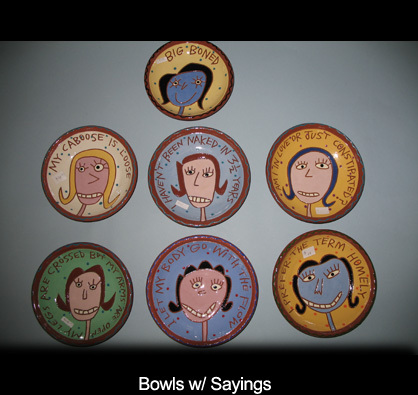 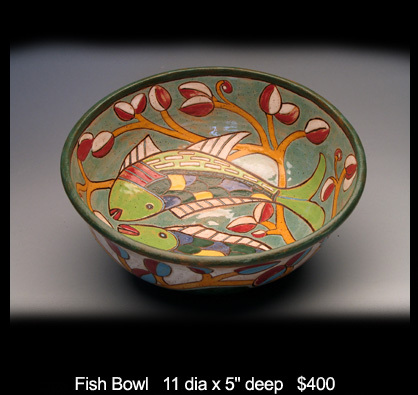 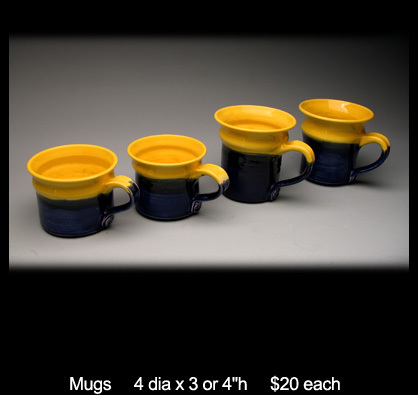 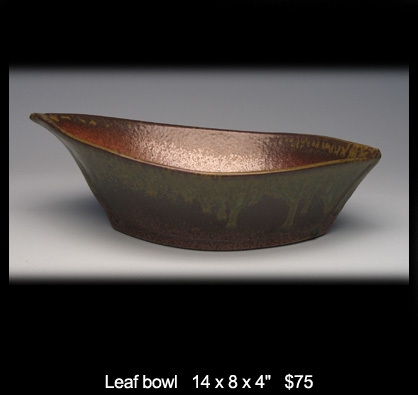 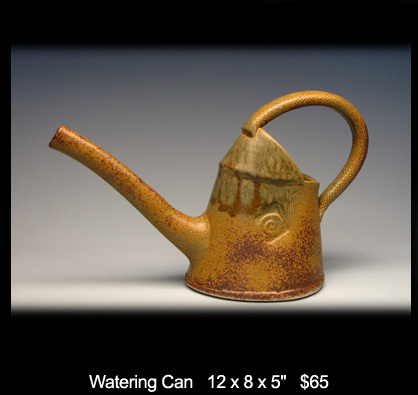 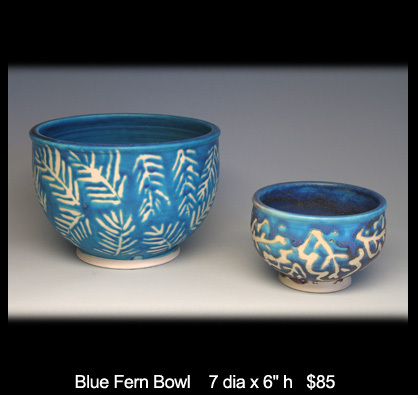 DON SPRAGUE produces extremely well-crafted functional ceramics. 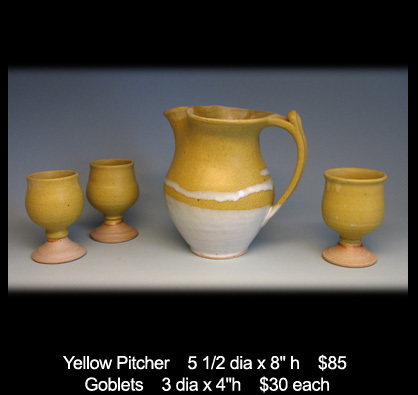 Many of his colleagues envy his ability to throw and subsequently to manipulate and alter the clay to create elegant shapes.